Under the leadership of SASTA member Dr. Rana Dajani who started the program of Three Circles Alemat (ثلاث دوائر من العالمات), SASTA has agreed to champion this important project. Dr. Al-Delaimy, President of SASTA said: having this important project exemplifies what SATA stands for in terms of mentoring of young academics in the Arab region, and we are privileged to have Dr. Rana Dajani as its leader and a member of SASTA who is going to continue leading this effort through SASTA in the interest of science and academic for the Arab region. Three Circles of Alemat is a project that aims to establish a mentoring program among women in academia across the globe by creating social networks to advance their professional life and boost their personal well-being. Through holistic mentoring, female scholars grow through collaboration and collegiality. The project recognizes the fact that women are underrepresented in the academic sciences worldwide. The founder of the project, Dr Rana Dajani, Associate Prof at Hashemite University, envisioned the program to include a mentoring circle and mentoring activities that create three interlinked cohorts; within Jordan (DEMN), among cultures (BAYN) and globally (TAJAMUGH). According to the project manager, Dr. Zeena Tabbaa, Circle one include 26 female professors from 11 Jordanian universities, both public and private with different fields like pharmacy, agriculture, IT and biology. Circle Two included 20 female professors from 17 Arab universities. Circle Three included 30 female scholars. The website of the project has a mentoring kit that could be used in creating new mentoring initiatives in different professions. Publishing research on the 10×10 model in particular and the different stories of mentors and mentees across the three circles is an important deliverable, in addition to a policy report that will share recommendations to institutionalize the concept of mentoring in institutions. Dr. Amenah Rawashdeh and Dr Ayman Rawshdeh from Yarmouk University joined the team to collaborate in assuring the scientific inquiry method in the project. 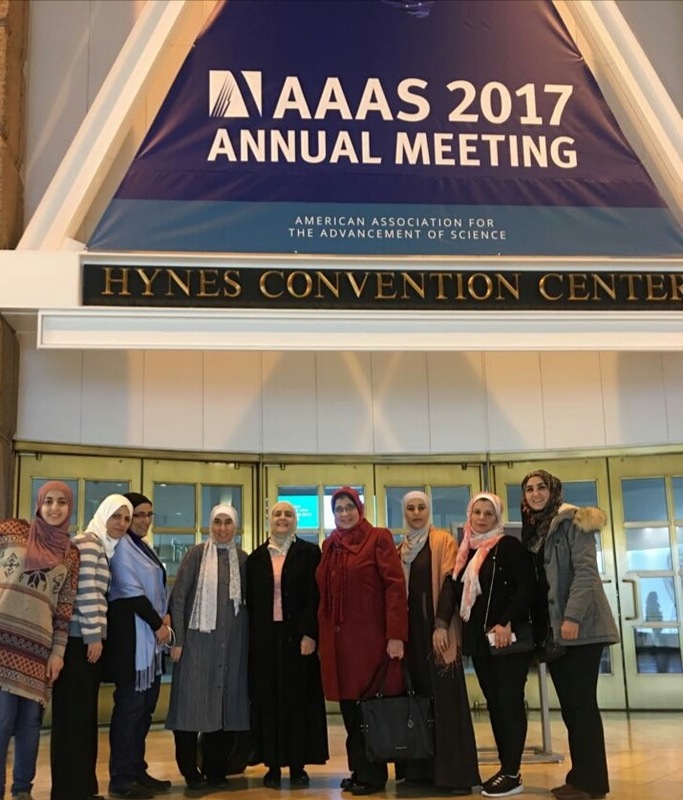 A group of Alemat from Circle One and Two attended the annual meeting for the American Association for the Advancement of Science (AAAS) which was held in Boston, USA in February, 2017. Dr. Rana presented a workshop: “Circles of Mentoring: Pathways to Professional and Personal Growth” where the 10×10 was shared with the audience. The conference marked the launch of Circle Three where female professors from the diaspora brainstormed with Circle One and Two the challenges facing female scientists in the Arab world, how can female scientists in the diaspora help their counterparts in the Arab world, and how to sustain Three Circles of Alemat after September 2017. Alemat were also honored to meet with Princess Sumaya Al Hasan, who was one of the speakers at the conference. The meeting focused on the World Science Forum, equality, history of science in the Arab world, entrepreneurship, renewable sources and women in science. 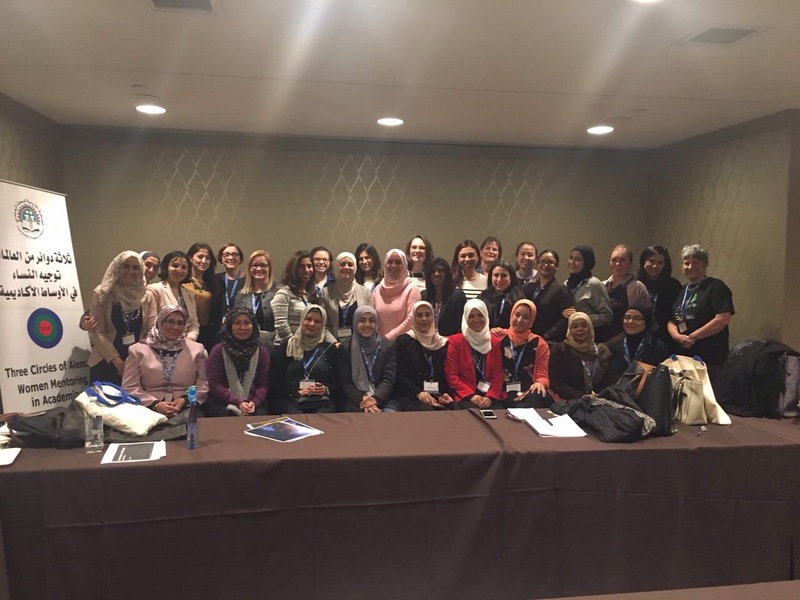 During the conference, Alemat met with 20 women leaders from 20 different countries from all continents which increased our network and raised awareness to the issues of female around the world creating new bridges and channels of future collaborations. The project supported two graduate students, one who is pursuing her doctorate at the Colorado State University, and another who did research at Harvard University. It is noted that Three Circles of Alemat is a PEER award grant fund hosted by The Jordanian Society for Scientific Research (JSSR) whose president is Dr Anwar Batikhi, who continues to support the team at different stages of the project, and funded by NSF, USAID NAS 2014-2107.